U.S. policymakers have less than two months to find billion-dollar savings on foreign affairs and aid as they scramble to meet strict spending caps imposed by debt ceiling legislation expected to be passed by the Senate today (Aug. 2). The legislation, once signed by President Barack Obama, would raise the country’s borrowing limit, but also require up to $2.4 trillion in spending cuts. Some of these cuts would go into effect immediately and in the coming years through annual appropriations; additionally, a newly created, temporary bipartisan committee of lawmakers would have to submit a proposal for up to $1.2 trillion to Congress later this year for an up-or-down vote. If Congress rejected that proposal, across-the-board cuts to government programs would go into effect that may disproportionally affect spending on development aid. The proposed Budget Control Act of 2011, approved by the House of Representatives on Monday (Aug. 1), imposes a $684 billion spending cap for fiscal 2012 on what it calls the “security category,” which includes discretionary appropriations for the departments of Defense, Homeland Security and Veterans Affairs, as well as the National Nuclear Security Administration, the intelligence community management account, and everything falling under the so-called 150 account, which includes the State Department, U.S. Agency for International Development, Millennium Challenge Corp. and other international programs. President Obama’s budget proposal for those government functions totals more than $720 billion, so policymakers must find a way to generate savings of around $40 billion. Spending on development aid will most likely suffer disproportionally, given how protective especially Republicans are of spending on defense and domestic security. The House Appropriations subcommittee on State and foreign operations already approved a fiscal 2012 budget proposal for the so-called 150 account. It allotted $39.6 billion in regular discretionary funding and $7.6 billion for what Republicans call the “Global War on Terror.” The full committee markup had been postponed to Wednesday, Aug. 3, but was again canceled as lawmakers reviewed the new debt ceiling deal and began searching for ways to comply with its spending caps. 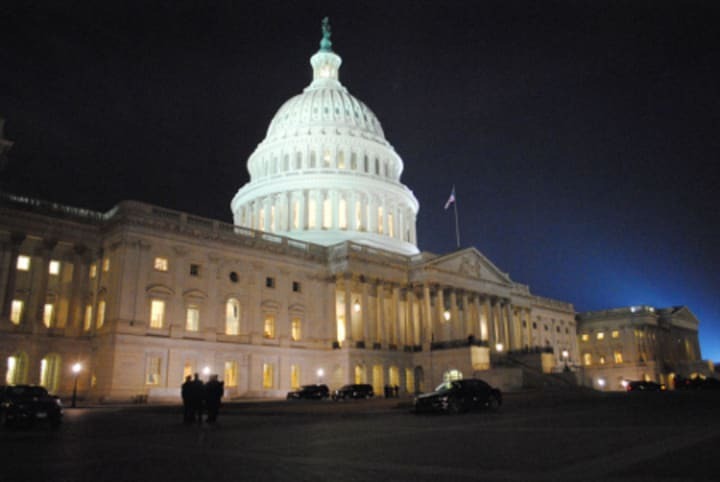 The Senate has yet to vote on a fiscal 2012 foreign affairs budget. Che de los Reyes contributed to this report. Read more on U.S. aid reform online, and subscribe to The Development Newswire to receive top international development headlines from the world’s leading donors, news sources and opinion leaders – emailed to you FREE every business day.